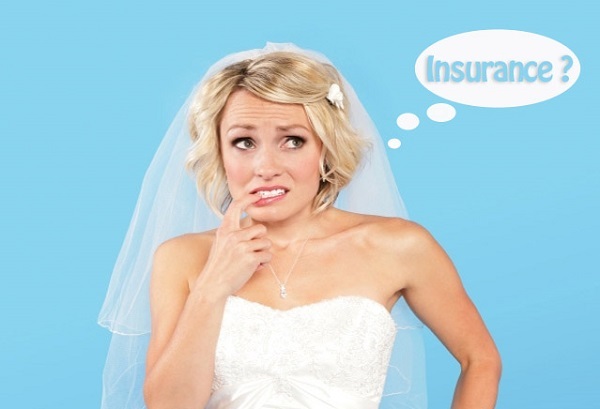 What Is Wedding Insurance? Why Do I Need It? In the simplest terms, wedding insurance protects you from unforeseen circumstances surrounding your wedding. What if the venue closes? You’d lose your deposit and have to find another place with the date open on short notice… for a premium. What if your flowers never show up? What if there’s a snow or rain storm and your site is ruined? Insurance can help you recoup all of the money spent (less the deductible) on these scenarios and more. An insurance policy can run anywhere from a couple of hundred dollars to a few thousand, depending how robust you make it. A basic policy will generally cover photos, attire, rings, and often your gifts as well. Some vendors may have their own insurance, so be sure to check and see what’s covered if they do. Of course, there are things even the most detailed policy won’t cover. If you back out of the wedding, it doesn’t count. And while your wedding rings are most likely covered, the engagement ring (and the stones in it) are likely excluded. There are separate riders available to cover specific circumstances that might apply to you. Are you or your spouse active military? There is a rider to cover a deployment that forces you to cancel. And if you must cancel your honeymoon, you’ll need a rider for that. Your vacation probably won’t be covered under the wedding policy. And should you be forced to postpone or cancel and need some counseling to cope, there is a rider for that, too. We all want to believe that our big day will go off without a hitch. If you’re a planner, or need to make sure everything is absolutely perfect, purchasing an insurance policy might just give you the peace of mind you need.